The world’s top athletes at the 2020 Tokyo Olympics will receive medals made of gold, silver, and bronze harvested from Japan’s “urban mine” of discarded smartphones and consumer electronics. The initiative is part of a nationwide push to “green” the Olympics, and is a promising — and needed — early step. Research on e-waste from the United Nations University, shows that the volume of discarded electronics in Asia jumped by 63 per cent in the last five years, making the region the highest e-waste producer in the world. Raising awareness of this issue, and focusing public activism towards e-waste recycling, will deliver benefits far beyond the Olympic podium. But this is just one step in a longer race. 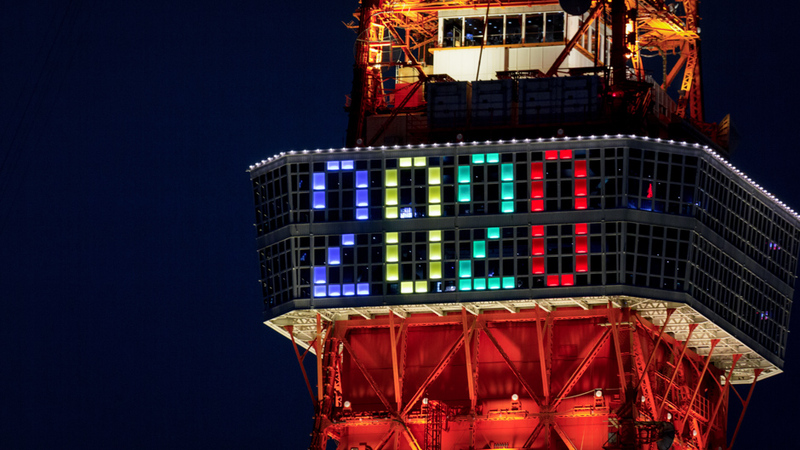 With only three years until the Olympic Games in Tokyo, Japan is scrambling to solve a number of pressing issues, including how to make the games more sustainable, a central tenet of the Olympic Agenda 2020. The Olympic Games offer an enormous opportunity to showcase how global events can ensure sustainable practices. But a quick look at the legacies of the Rio, Sochi and London Games reveals that the Olympics do not have a track record of sustainability, despite state authorities’ vows such as “Green Games for a Blue Planet”. So how can Japan ensure that the Tokyo Olympics hit the sustainability mark? As a first step, the International Olympic Committee and local organisers must commit to a clear, practical approach to sustainability for the games. This will require them to identify challenges and opportunities specific to Japan, and hold open discussions to set achievable and transparent goals. The London 2012 games declared they would be “zero waste” and “zero carbon”. But this did not prove realistic. They fell short of their goals by a considerable margin, which reflected poorly on the games. In the case of Japan, a sustainability plan aimed at achieving zero waste is likewise not realistic, but a plan that aims to significantly decrease significant waste categories (consumer products, construction materials, etc.) could drive impressive results. Second, organisers must develop innovative and creative ways to ensure these goals are met. For example, if organisers aim to collect and recycle 90% of consumer waste during the games, they could partner with licensed vendors to reduce packaging and incentivise consumer participation through innovative rewards — vouchers, prizes, or the return of an initial cash deposit when recycling waste at designated collection points. “Gamification” — i.e., the application of typical game playing elements (like point scoring, peer competition, etc.) into sustainability activities surrounding the Olympic Games — could also reap great returns by engaging participants without overtly demanding their cooperation. After all, who doesn’t like to play games? Third and finally, organisers should establish an open and inclusive strategy process. Seeking ideas and support from a mix of local businesses, city authorities, and special interest groups would ensure that everyone is invested in, and cooperating towards, a sustainable Olympics. At the Rio 2016 games, for example, organisers worked closely with local cooperatives to manage recycling logistics and educate spectators. In turn, the cooperatives received the profits from the recycled materials — a win-win scenario. The e-waste medal project marks a start to the Tokyo Games’ race towards sustainability. But whether Tokyo can reach the podium will depend on the strategy process undertaken, the parties involved, and the organisers willingness to incorporate innovative ideas into Olympics governance. With sound planning, the Tokyo Olympics can be a pilot for embedding sustainability in global events, and can act as a model for games to come. Ruediger Kuehr is Head of the United Nations University’s Sustainable Cycles Program (SCYCLES), which focuses on sustainable production, consumption and disposal. He is also Executive Secretary of the Solving the E-Waste Problem (StEP) Initiative, which develops environmentally safe solutions to the global e-waste problem through analysis, planning and pilot-projects.